In 2008, 20/20 conducted an experiment to examine how people would respond to criminal activity. Inside a New Jersey park, three white youths gleefully vandalized a car. Without concern for the people walking throughout the park, they destroy the car with a bat and spray paint. In the course of the experiment, only a few individuals call the police or even challenge the kids, with some even joking around with them. When 20/20 swapped out the three white youth for three black youth, the public response was drastically changed, with many more calls to the police. Highlighting the ways race and criminality interact through stereotypes and daily behavior, the most telling aspect of the experiment resulted from an unplanned development. As the white youths wreaked havoc on the car, three black youth waited in another car. These boys, relatives of one of the black actors who were taking part in the experiment, were asleep. In the first instance, the caller suggests that the boys looked like they were going to rob someone. In a case of ‘sleeping while black’ there were two 911 calls (compared to one 911 call about the white youth). Given persistent stereotypes, news media and popular culture, and a culture of dehumanization, it is no wonder that the 20/20 experiment found that irrespective of behavior black youth convey fear and animosity driven by their presumed criminality, an experience dramatically different from that of white youth. Writing about research on imagery and criminalization, Joe Feagin, in The White Racial Frame, highlights the profound issues at work here. “These researchers conclude that the visual and verbal dehumanization of black Americans as apelike assist in the process by which some groups become targets of societal ‘cruelty, social degradation, and state-sanctioned violence” (p. 105). From a history of slavery and lynching, up through the persistent realities of racial profiling, mass incarceration, and daily instances of violence, the connection between dehumanization and criminalization has been central to white supremacy. 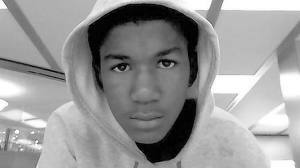 I thought about this experiment when I first heard about the murder of Trayvon Martin. The connection became especially powerful after continually hearing references to “reasonable fear,” the fact that George Zimmerman called 911 because he saw a suspicious person in his gated community, and the purported “perceived threat”; all of this led me back to this study and the countless amount of research that illustrates the power and saturation of the “criminalblackman.” As evident here, it is hard, if not disingenuous, not connect this case and the ideas of fear, suspicion, and threat (and whiteness as innocence), to dominant ideologies of race. On March 12, 2012, Stanford Police Chief, Bill Lee announced that Zimmerman’s claim of self-defense fit with the evidence of their investigation. During a press conference, he made this clear over and over again: “We don't have anything to dispute his claim of self defense at this point with the evidence.” He additionally defended the decision not to issue an arrest warrant because of a lack of probable cause: “Until we can establish probable cause to dispute that, we don't have the grounds to arrest him.” Given recent reports about the investigation, one has to wonder if this even possible. Similarly, the news media has emphasized that Zimmerman had a bloody nose, that the back of his t-shirt was wet, and that reports indicate an argument all as potential explanation for what happen. We can see an emerging narrative that explains (rationalizes/justifies) the situation as if an argument or even a “fight” justifies the use of a gun on an unarmed teenager. At the same time, likely responding to this growing anger about this injustice, the media coverage has increasingly emphasized the legal context. In Florida, because of the “stand your ground law,” which Jeb Bush signed into law in 2005, individuals who believe they are under attack can use deadly force. If a person feels in danger and if a person has “reasonable fear” they are legally allowed to use deadly force. According Joëlle Anne Moreno, “under the new law, if you are not engaged in an illegal activity, you can stand your ground by ‘meeting force with force, including deadly force’ if you ‘reasonably believe it is necessary’ to prevent death, great bodily harm, or the commission of a forcible felony.” In other words, if you reasonably believe you or others are in danger you are entitled and empowered to use force irrespective of the actual threat. It is about belief and perception. Yet, this same media that cites this law, that uses terms like “reasonable fear,” “danger” and “suspicion” has found limited space to talk about how race, stereotypes, and racism impact perceptions of fear, danger, and suspicion. Natalie Jackson, the family’s attorney, makes this clear when she notes, “I don't know if the whole thing was a racial issue, it may have been a 'Zimmerman wants to be a hero' issue. It becomes racial because Zimmerman thought that black males with hoodies are criminals.” In other words, how does, given ample research about the criminalization of black bodies, race impact what constitutes fear and suspicion? Within the white supremacist imagination isn’t any fear of blackness reasonable given the sedimentation of criminalization and dehumanization? Michelle Alexander, in New Jim Crow, argues that the institutionalization and saturation of mass incarceration has created a society where the “prison label” and the stigma of criminality “exists whether or not one has been formally branded a criminal: “In this way, the stigma of race has become the stigma of criminality. Throughout the criminal justice system, as well as in our schools and public spaces, young + black + male is equated with reasonable suspicion, justifying arrest, interrogation, search and detention of thousands of African Americans every year” (p. 194). Trayvon Martin is clearly evidence of this reality not only in his murder but also in the handling of the struggle for justice in his name. From Sean Bell to Oscar Grant, from Emmett Till to Robbie Tolan, it is all too familiar story, one that hopefully offers a different ending: JUSTICE. David J. Leonard is Associate Professor in the Department of Critical Culture, Gender and Race Studies at Washington State University, Pullman. He has written on sport, video games, film, and social movements, appearing in both popular and academic mediums. His work explores the political economy of popular culture, examining the interplay between racism, state violence, and popular representations through contextual, textual, and subtextual analysis. Leonard’s latest book After Artest: Race and the Assault on Blackness will be published by SUNY Press in May of 2012.